Brand New! just a few week old and we are excited to adapt our simulations to use these ManusVR gloves in place of the usual controllers. We have successfully modified our Dashboard install demo to use the VR gloves and we are quite impressed with how it works so far. There are still some programming issues we need to resolve in order to make the grasp and pickup more natural but all in all a very good first attempt for us. 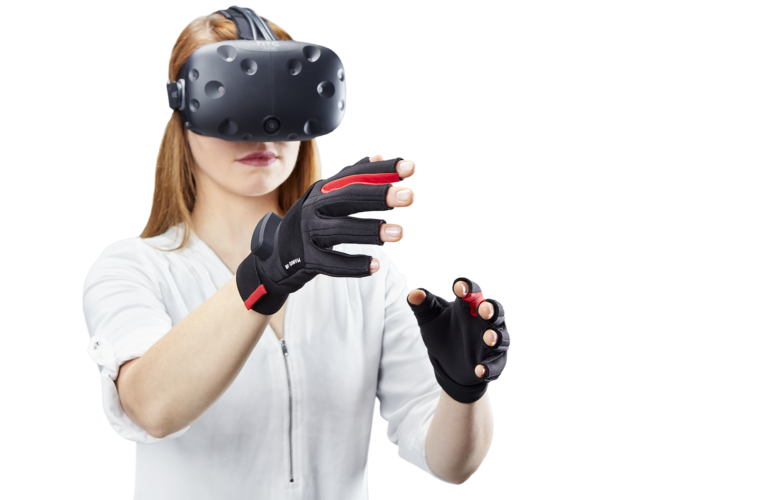 The gloves however are currently pretty expensive and far exceed the cost of the VR system itself. In addition to the gloves we had to purchase two trackers from Vive for the system to track the hands. The gloves track individual finger movements fairly well with only occasional erratic movement on one or two fingers. We demonstrated the gloves at the Southern Automotive Conference and it was well received. There are a number of other companies releasing gloves in the next few months and we look forward to massive growth in this field.